The National Reconnaissance Office (NRO) is a member of the United States Intelligence Community and an agency of the United States Department of Defense. NRO is considered, along with the Central Intelligence Agency (CIA), National Security Agency (NSA), Defense Intelligence Agency (DIA), and National Geospatial-Intelligence Agency (NGA), to be one of the "big five" U.S. intelligence agencies. The NRO is headquartered in unincorporated Fairfax County, Virginia, 2 miles (3.2 km) south of Washington Dulles International Airport. It designs, builds, and operates the reconnaissance satellites of the U.S. federal government, and provides satellite intelligence to several government agencies, particularly signals intelligence (SIGINT) to the NSA, imagery intelligence (IMINT) to the NGA, and measurement and signature intelligence (MASINT) to the DIA. The Director of the NRO reports to both the Director of National Intelligence and the Secretary of Defense and serves in an additional capacity as Assistant Secretary of the Air Force (Intelligence Space Technology). The NRO's federal workforce consists primarily of Air Force, CIA, NGA, NSA, and Navy personnel. A 1996 bipartisan commission report described the NRO as having by far the largest budget of any intelligence agency, and "virtually no federal workforce", accomplishing most of its work through "tens of thousands" of defense contractor personnel. It also coordinates collection and analysis of information from airplane and satellite reconnaissance by the military services and the Central Intelligence Agency. It is funded through the National Reconnaissance Program, which is part of the National Intelligence Program (formerly known as the National Foreign Intelligence Program). The agency is part of the Department of Defense. The NRO works closely with its intelligence and space partners, which include the National Security Agency (NSA), the National Geospatial-Intelligence Agency (NGA), the Central Intelligence Agency (CIA), the Defense Intelligence Agency (DIA), the United States Strategic Command, Naval Research Laboratory and other agencies and organizations. It has been proposed that the NRO share imagery of the United States itself with the National Applications Office for domestic law enforcement. The NRO operates ground stations around the world that collect and distribute intelligence gathered from reconnaissance satellites. According to Asia Times Online, one important mission of NRO satellites is the tracking of non-US submarines on patrol or on training missions in the world's oceans and seas. The NRO's first photo reconnaissance satellite program was the Corona program,:25–28 the existence of which was declassified February 24, 1995, and which existed from August 1960 to May 1972 (although the first test flight occurred on February 28, 1959). The Corona system used (sometimes multiple) film capsules dropped by satellites, which were recovered mid-air by military craft. The first successful recovery from space (Discoverer XIII) occurred on August 12, 1960, and the first image from space was seen six days later. The first imaging resolution was 8 meters, which was improved to 2 meters. Individual images covered, on average, an area of about 10 by 120 miles (16 by 193 km). The last Corona mission (the 145th), was launched May 25, 1972, and this mission's last images were taken May 31, 1972. From May 1962 to August 1964, the NRO conducted 12 mapping missions as part of the "Argon" system. Only seven were successful. :25–28 In 1963, the NRO conducted a mapping mission using higher resolution imagery, as part of the "Lanyard" program. The Lanyard program flew one successful mission. [citation needed] NRO missions since 1972 are classified, and portions of many earlier programs remain unavailable to the public. The first press reports on NRO started in 1971. The first official acknowledgement of NRO was a Senate committee report in October 1973, which inadvertently exposed the existence of the NRO. In 1985, a New York Times article revealed details on the operations of the NRO. The existence of the NRO was declassified on September 18, 1992, by the Deputy Secretary of Defense, as recommended by the Director of Central Intelligence. A Washington Post article in September 1995 reported that the NRO had quietly hoarded between $1 billion and $1.7 billion in unspent funds without informing the Central Intelligence Agency, the Pentagon, or Congress. The CIA was in the midst of an inquiry into the NRO's funding because of complaints that the agency had spent $300 million of hoarded funds from its classified budget to build a new headquarters building in Chantilly, Virginia, a year earlier. The presence of the classified new headquarters was revealed by the Federation of American Scientists who obtained unclassified copies of the blueprints filed with the building permit application. After 9/11 those blueprints were apparently classified. The reports of an NRO slush fund were true. According to former CIA general counsel Jeffrey Smith, who led the investigation: "Our inquiry revealed that the NRO had for years accumulated very substantial amounts as a 'rainy day fund.'" In 1999 the NRO embarked on a $25 billion project with Boeing entitled Future Imagery Architecture to create a new generation of imaging satellites. In 2002 the project was far behind schedule and would most likely cost $2 billion to $3 billion more than planned, according to NRO records. The government pressed forward with efforts to complete the project, but after two more years, several more review panels and billions more in expenditures, the project was killed in what the Times report calls "perhaps the most spectacular and expensive failure in the 50-year history of American spy satellite projects." In January 2008, the government announced that a reconnaissance satellite operated by the NRO would make an unplanned and uncontrolled re-entry into the Earth's atmosphere in the next several months. Satellite watching hobbyists said that it was likely the USA-193, built by Lockheed Martin Corporation, which failed shortly after achieving orbit in December 2006. On February 14, 2008, the Pentagon announced that rather than allowing the satellite to make an uncontrolled re-entry, it would instead be shot down by a missile fired from a Navy cruiser. The intercept took place on February 21, 2008. In July 2008, the NRO declassified the existence of its Synthetic Aperture Radar satellites, citing difficulty in discussing the creation of the Space-Based Radar with the United States Air Force and other entities. At the National Space Symposium in April 2010 NRO director, General Bruce Carlson, USAF (Ret.) announced that till the end of 2011 NRO is embarking on "the most aggressive launch schedule that this organization has undertaken in the last twenty-five years. There are a number of very large and very critical reconnaissance satellites that will go into orbit in the next year to a year and a half." The NRO derives its funding both from the US intelligence budget and the military budget. In 1971, the annual budget was estimated to be around $1 billion (inflation adjusted $ 6.2 billion in 2019). A 1975 report by Congress's Commission on the Organization of the Government for the Conduct of Foreign Policy states that the NRO had "the largest budget of any intelligence agency". By 1994, the annual budget had risen to $6 billion (inflation adjusted $ 10.1 billion in 2019), and for 2010 it is estimated to amount to $15 billion (inflation adjusted $ 17.2 billion in 2019). This would correspond to 19% of the overall US intelligence budget of $80 billion for FY2010. For Fiscal Year 2012 the budget request for science and technology included an increase to almost 6% (about $600 million) of the NRO budget after it had dropped to just about 3% of the overall budget in the years before. NRO's technology is likely more advanced than its civilian equivalents. In the 1980s the NRO had satellites and software that were capable of determining the exact dimensions of a tank gun. In 2012 the agency donated two space telescopes to NASA. Despite being stored unused, the instruments are superior to the Hubble Space Telescope. One journalist observed, "If telescopes of this caliber are languishing on shelves, imagine what they're actually using." The NRO Management Information System (NMIS) is a computer network used to distribute NRO data classified as Top Secret. It is also known as the Government Wide Area Network (GWAN). In October 2008, NRO declassified five mission ground stations: three in the United States, near Washington, D.C.; Aurora, Colorado; and Las Cruces, New Mexico, and a presence at RAF Menwith Hill, UK, and at the Joint Defence Facility Pine Gap, Australia. The NRO is featured in Dan Brown's novel Deception Point. ^ "NRO - Directors: Betty J. Sapp". www.nro.gov. Archived from the original on 2016-10-25. Retrieved 25 October 2016. ^ "Contact the NRO Archived 2013-10-29 at the Wayback Machine" "National Reconnaissance Office Office of Public Affairs 14675 Lee Road Chantilly, VA 20151-1715"
^ Federation of American Scientists. "The Evolving Role of the NRO". ^ "Career Opportunities". Archived from the original on 2013-10-29. Retrieved 2013-07-08. ^ Commission on the Roles and Capabilities of the United States Intelligence Community. "Preparing for the 21st Century: An Appraisal of U.S. Intelligence, Chapter 13 – The Cost of Intelligence". ^ "National Reconnaissance Office (NRO) Center for the Study of National Reconnaissance (CSNR) Bulletin, Combined 2002 Issue" (PDF). Government Attic. Retrieved 26 October 2016. ^ "NRO Provides Support to the Warfighters". Press Release. NRO Press Office. 28 April 1998. Archived from the original on 18 June 2001. Retrieved 26 October 2016. ^ "U.S. Reconnaissance Satellites: Domestic Targets – Documents Describe Use of Satellites in Support of Civil Agencies and Longstanding Controversy". National Security Archive, The George Washington University. 2008-04-11. Retrieved 2008-04-12. ^ "US satellites shadow China's submarines". Pakistan Defence. 13 May 2010. Retrieved 26 October 2016. ^ a b Stares, Paul B. "The Militarization of Space". p. 23,46. Archived from the original on 2009-01-13. Retrieved 2008-11-24. ^ a b (Chief, Special Security Center) (1974-01-07). "History of NRO security breaches" (PDF). National Reconnaissance Office. Retrieved 2010-12-22. ^ "CIA and others: secret agencies studied". Sarasota Herald-Tribune. Sarasota: Sarasota Herald-Tribune (published December 19, 1973): 4. 1973. ^ a b c Bamford, James (1985). "America's Supersecret Eyes In Space". The New York Times. New York: The New York Times (published January 13, 1985). ^ Jeffrey T. Richelson (September 18, 2008). "Out of the Black: The Declassification of the NRO". National Security Archive Electronic Briefing Book No. 257. National Security Archive. Retrieved 2008-10-13. ^ "Get Smarter: Demystifying the NRO". SECRECY & GOVERNMENT BULLETIN, Issue Number 39. Federation of American Scientists. August–September 1994. Retrieved 2008-10-13. ^ "Lack of Intelligence". U.S. News & World Report. Archived from the original on 2012-10-23. ^ Philip Taubman (2007-11-11). "Failure to Launch: In Death of Spy Satellite Program, Lofty Plans and Unrealistic Bids". The New York Times. Retrieved 2007-11-12. ^ John Schwartz (2008-02-05). "Satellite Spotters Glimpse Secrets, and Tell Them". The New York Times. Retrieved 2008-02-05. ^ David Stout and Thom Shanker (2008-02-14). "U.S. Officials Say Broken Satellite Will Be Shot Down". The New York Times. Retrieved 2008-02-14. ^ "DoD Succeeds In Intercepting Non-Functioning Satellite (release=No. 0139-08)" (Press release). U.S. Department of Defense. February 20, 2008. Retrieved 2008-02-20. ^ Colin Clark (2008-07-03). "Spy Radar Satellites Declassified". DoD Buzz, through Military.com. Retrieved 2008-07-10. ^ The Black Vault, "Download the declassified Satellite Reconnaissance: Secret Eyes in Space", NRO, August 2009. ^ Bruce Carlson (April 14, 2010). "Bruce Carlson, Director, NRO, National Space Symposium, Remarks" (PDF). National Reconnaissance Office. Archived from the original (PDF) on May 27, 2010. Retrieved 2010-06-04. ^ The IG complaint of Mark Phillips concerning the NRO | McClatchy. Mcclatchydc.com. Retrieved on 2013-07-21. ^ Taylor, Marisa. (2014-04-22) WASHINGTON: IG: Feds didn't pass polygraph evidence of child abuse to investigators | Courts & Crime. McClatchy DC. Retrieved on 2014-04-28. ^ "NRO Factsheet". p. 1. Archived from the original (Word Document) on 2006-12-11. Retrieved 2007-01-15. ^ a b Bruce Carlson (2010-09-13). "National Reconnaissance Office Update" (PDF). Air & Space Conference and Technology Exposition 2010. Archived from the original (PDF) on 2010-12-06. Retrieved 2010-11-25. ^ Tim Weiner (1994-08-09). "Ultra-Secret Office Gets First Budget Scrutiny". New York Times. Archived from the original on 2013-01-30. Retrieved 2010-12-22. ^ John Pike (2010). "FY2010 Intelligence Budget". www.globalsecurity.org. Retrieved 2010-12-22. ^ Dilanian, Ken (2010-10-28). "Overall U.S. intelligence budget tops $80 billion". Los Angeles Times. Retrieved 2011-01-08. ^ "America's Leadership Challenge". Archived from the original on August 4, 2002. Retrieved 2008-02-02. CS1 maint: BOT: original-url status unknown (link) (pre-event publicity pamphlet for National Law Enforcement And Security Institute [NLSI] conference "Homeland Security: America's Leadership Challenge", September 6, 2002). ^ Boyle, Rebecca (June 5, 2012). "NASA Adopts Two Spare Spy Telescopes, Each Maybe More Powerful than Hubble". Popular Science. Popular Science Technology Group. Retrieved June 5, 2012. ^ "NRO Systems Overview - Module 2: Orbital Mechanics" (PDF). National Reconnaissance Office. 13 February 2012. Retrieved 2018-10-11. ^ a b c d e f g Clapper, James R. (February 2012). "FY 2013 Congressional Budget Justification, Volume 1, National Intelligence Program Summary, Resource Exhibit No. 13" (PDF). DNI. ^ Dr. Bruce Berkowitz (September 2011). "The National Reconnaissance Office At 50 Years: A Brief History" (PDF). 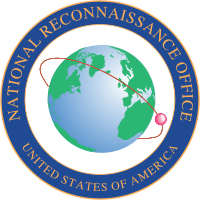 Center for the Study of National Reconnaissance. Archived from the original (PDF) on 2011-10-15. Retrieved 2011-10-24. ^ "NRO Mission Ground Station Declassification" (PDF). National Reconnaissance Office. 2008-10-15.